I've been reading Claire Harman's new biography of Charlotte Brontë & she writes that a draft of this poem was found on the back of the draft of a letter Charlotte wrote to W S Williams, who worked at her publishers, Smith, Elder. 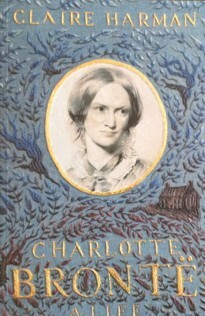 The letter was about her first novel, The Professor, which wasn't published in Charlotte's lifetime although she kept revising it in the hope that Smith, Elder would publish it. Eventually she reused some of the material based on her time in Brussels in her last novel, Villette. The circumstances of the speaker in this poem reflect Charlotte's relationship with Monsieur Heger, her tutor, & her unrequited love for him. To its moans spirit-deaf, to its pangs spirit-blind. Breathed I that prayer—heard I that sigh. I sought love where love was utterly unknown. My Baal had not seen nor heard nor understood. Hoping in its wilds forgetfulness to find. On suffering worms who seek forgiveness, comfort, grace. E’en if the gift be lost, as mine was long ago. And feel the peril past of Death’s immortal birth.